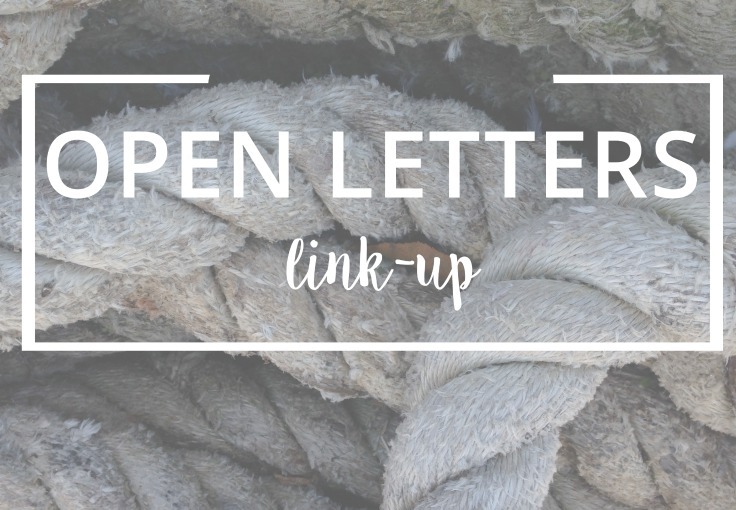 This is the second ever Open Letters Link-up, and I'm so glad you're here! 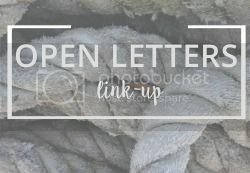 Last month, I got to read some really amazing, funny, and challenging letters, and I can't wait to see what gets added this time round. THANKS FOR GETTING OUT. I appreciate that you left of your own volition and didn't have to be...............helped. I see you, all you youth pastors, leaders, church-planters, pastors' wives...I know that serving a church can be so rewarding as you see people turn to Jesus, but I also know there are seasons of discouragement as you help broken, imperfect people. God appreciates all your efforts, and your labor is never a waste (so says 1 Corinthians 15:58). You are loved. Should I buy you a new set of pants? I'm sincerely hoping you didn't poop yourself when my dog went bizerk as you dropped off a package. I sure wasn't laughing. Mainly because you came EXTRA EARLY IN THE MORNING AND MY DOG'S INCESSANT, UPSET, DEAFENING BARKING WOKE US ALL UP. Since Jake the German Shepherd clearly doesn't beckon those packages with open paws, whaddya say you deliver things later in the morning?